If you live in the Greater Toronto Area, you know what a difference your address and postal code can make to your car insurance rates. It is precisely this disparity in rates that a recent bill (Bill 44, the Ending Automobile Insurance Discrimination in the Greater Toronto Area Act) attempted to address, by proposing that the GTA should be brought into a single territory for the purposes of auto insurance rate setting, subject to the same auto insurance premiums regardless of where you live in the Toronto area. This bill defined the GTA as the city of Toronto as well as the municipalities of York, Durham, Peel and Halton, including the cities of Oakville, Mississauga, Richmond Hill, Newmarket and Markham, along with various others. The goal of the bill was to stop discrimination in car insurance rates, making one’s driving record, rather than one’s address, the driver of one’s rates. Some neighbourhoods in the GTA have extremely high rates, in some cases even double of what other drivers pay in the Toronto area. This bill however was officially defeated in the Ontario legislature on Nov 1st, 2018. As we’ve already talked about here on the blog your address affects your car insurance rates. So if you live in a small town in rural Ontario, you’re going to pay different rates than someone who lives right in downtown Toronto. But as we’ve touched on above, the geographic divide in insurance premiums isn’t just about rural versus urban. It goes much deeper, right down to the very specifics of where you live. So different neighbourhoods within the GTA will have very different rates, depending on things like rates of stolen cars and how many accidents the given neighbourhood experiences. This is what the proposed legislative unsuccessfully attempted to address. 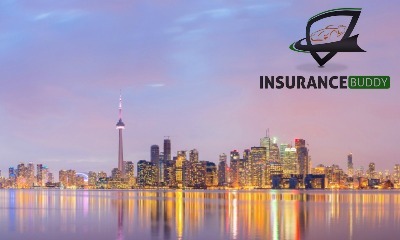 Looking for the best car insurance rates in Toronto and Ontario? Click here to get an online quote, or get in touch with one of our insurance specialists.